Don't you just love the weekends, its a time to catch up on everything that you don't get done during the week. Frankly I love to get all those jobs that I have to do done during the week so I don't have to waste time doing it on the weekend. You know what I mean, laundry, cooking, cleaning etc. I would rather spend my weekends creating, playing in my studio than doing laundry or anything else. Packaging is so important, no matter what you are giving, it is simple to do and just makes what ever you made that much better. 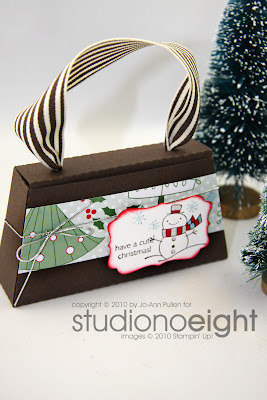 Over the next few weeks I will be posting different types of ways that you can do this, all using Stampin Up products. From the chocolate box below, to Kraft sandwich bags, to cello to little pizza boxes. The ideas are endless. Chocolate Box - holds all types of chocolates such as nuggets, or instead of sweets why not add some tissue paper, (remember you can stamp on anything) and use it to hold jewelry or even a gift card. 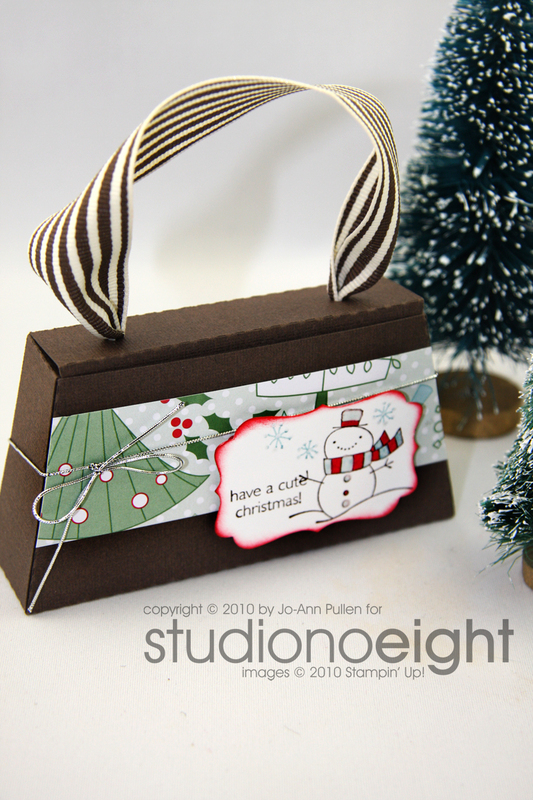 Look for more holiday packaging using Stampin Up products.